With more than 6000 vacancies, in different government bodies, new opportunities are now available to aspirants. Candidates should make proper use of these options. Details of the vacancies are given below. Out of the total number of recruitments, maximum vacancies are in Banks. This will be a great opportunity for bank job aspirants as IBPS and Bank of Baroda have announced for 5000+ vacancies. Graduates and postgraduates with relevant experience in the concerned discipline can register for the forthcoming selection process. 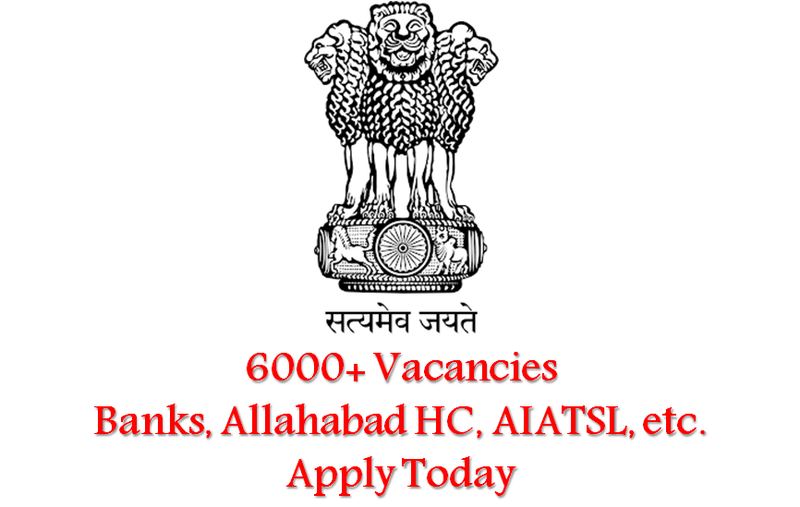 Likewise, High Court of Allahabad has also invited applications for Review Officer Post (343 vacancies) and Assistant Review Officer post (66 vacancies). Similarly Ex-Servicemen can apply against 447 vacancies at Air India Air Transport Services Limited. Tamil Nadu Public Service Commission has intimated about CCS-1 Exam (Group 1 Service).